Ms. Doyle Kipf is a Senior Geologist and provides client, project, and team management as Condor’s Environmental Services Manager. 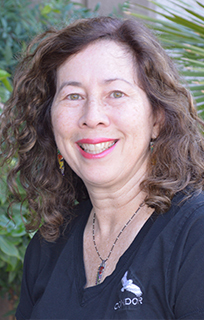 She is a registered California and Washington Professional Geologist with over 20 years of experience conducting geologic and hydrogeologic investigations. Ms. Doyle Kipf specializes in developing and implementing storm water and water quality monitoring compliance programs, technical reporting, and facilitating client/consultant/contractor collaboration. Her technical experience includes: National Pollutant Discharge Elimination System (NPDES) Permits and Waste Discharge Requirements (WDR) compliance support; developing and implementing water quality monitoring work plans and compliance programs; and water quality data evaluation. Her field experiences include water quality monitoring and sampling, soil sampling, drilling, geologic logging, and well installation/destruction. Clients include Phase I and II municipalities, wastewater treatment facilities, and industrial facilities.